FC61 Microphone System Flight Case for(M60, M61, M61 FET)Zipper case for small diaphragm condenser microphones. Includes compartment for one microphone, one cable, one elastic mic mount and 3 capsule containers. PLEASE NOTE THAT MICROPHONE AND ACCESS..
FC62 Dual Microphone System Flight Casefor(M60, M61, M61 FET STEREO SET)Zipper case for small diaphragm condenser microphones. Includes compartment for two microphones, two cables, two elastic mic mounts and 6 capsule containers. PLEASE NOTE THAT MIC..
FC01 Microphone System Flight Casefor (AR-51, AK-47, ELA M 260, CU-29)..
Telefunken Flight Case FC10for(C12)Combination locking flight case for the C12. TELEFUNKEN Elektroakustik's microphone flight cases are designed with delicate capsules, vacuum tubes and electronic components in mind. A unique blend of seven Wisconsin..
FC10S Dual Microphone System Flight Case for(C12)Combination locking flight case for the C12 & R-F-T STEREO SETS. TELEFUNKEN Elektroakustik's microphone flight cases are designed with delicate capsules, vacuum tubes and electronic components in m..
FC40 Microphone System Flight Case for (U47, U48)Combination locking flight case for the U47 or U48. TELEFUNKEN Elektroakustik's microphone flight cases are designed with delicate capsules, vacuum tubes and electronic components in mind. A unique ble..
FC40S Dual Microphone System Flight Case for(U47 / U48 STEREO SET)Combination locking flight case for the STUDIO set (2 mics, wooden boxes & cables, 1 psu). TELEFUNKEN Elektroakustik's microphone flight cases are designed with delicate capsules, ..
FC50 Microphone System Flight Case for (ELA M 251E)Combination locking flight case for the ELA M 250/251. TELEFUNKEN Elektroakustik's microphone flight cases are designed with delicate capsules, vacuum tubes and electronic components in mind. A uniqu..
FC50S Dual Microphone System Flight Case for (ELA M 251 STEREO SETS)Combination locking flight case for ELA M 250/251 STEREO SETS . TELEFUNKEN Elektroakustik's microphone flight cases are designed with delicate capsules, vacuum tubes and electronic c..
FC60S Dual Microphone System Flight Case for(ELA M 260 STEREO SET)Combination locking flight case for ELA M 260 STEREO SETS. 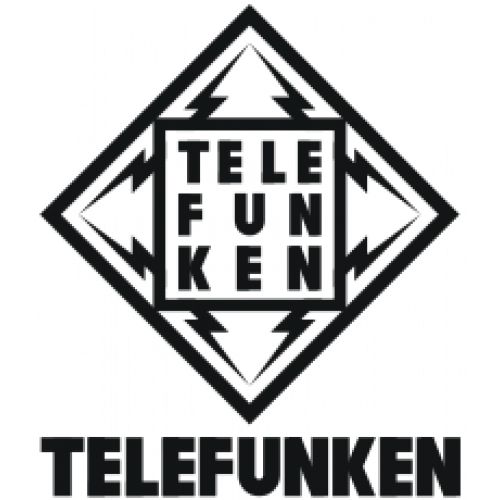 TELEFUNKEN Elektroakustik's microphone flight cases are designed with delicate capsules, vacuum tubes and electronic componen..
FC60T Microphone System Flight Case for(ELA M 260 TRI-MONO)Combination locking flight case for ELA M 260 TRI-MONO SETS. TELEFUNKEN Elektroakustik's microphone flight cases are designed with delicate capsules, vacuum tubes and electronic components in..
FC70 Microphone System Flight Casefor(AR-70, ELA M 270)Combination locking flight case for the ELA M 270 . TELEFUNKEN Elektroakustik's microphone flight cases are designed with delicate capsules, vacuum tubes and electronic components in mind. A uniq..
M 700 Microphone Elastic Shock Mount (CU-29)Base Threaded Elastic Shock Mount for TELEFUNKEN CU-29..
M 701 Microphone Elastic Shock Mount (AK-47, AR-51, AR-70, M16mkII)Clamping Elastic Shock Mount for TELEFUNKEN AK-47 MkII, AR-51, AR-70 STEREO or M16mkII microphones. [46 mm Dia. Microphone Body]..
M 710 Microphone Elastic Shock Mount (C12, C24)Clasping Elastic Shock Mount for AKG & TELEFUNKEN C12, C24 [42 mm Dia. Microphone Body]..
M 740 Microphone Elastic Shock Mount (U47, U48)Clasping Elastic Shock Mount for TELEFUNKEN & NEUMANN U47/U48 [64 mm Dia. Microphone Body]..
M 750 Microphone Elastic Shock Mount (ELA M 251)Clasping Elastic Shock Mount for TELEFUNKEN ELA M 250/251, ELA M 250E/251E or ELA M 270 [50 mm Dia. Microphone Body]..
M 760 Microphone Elastic Shock MountElastic Shock mount for ELA M 260 [20 mm Dia. Microphone Body] - Plastic Inner Cage Design..
M 761 Microphone Elastic Shock Mount (ELA M 260, M60)Elastic Shock mount for TELEFUNKEN ELA M 260 [20 mm Dia. Microphone Body]..
M 780 Microphone Clip (M80, M81)Microphone Clip for TELEFUNKEN M80 & M81 Dynamic microphones..
M 782 Microphone Mount (M82, CU-29)TELEFUNKEN M82 Kick Drum Microphone Mount..
M 783 Goose Neck Microphone MountGoose Neck Drum Microphone Mount..
M 784 Metal Microphone Drum MountMetal Drum Microphone Mount..
M 785 Plastic Microphone Drum MountPlastic Drum Microphone Mount..
M 786 Microphone Boom ArmRadio Boom Arm with spring tension for M82 Broadcast *Microphone not included..
M 801 Tube Microphone Cable (R-F-T, ELA M 260 Series)M 801 Tube Microphone Cable for the AR-51, AR-70 STEREO, CU-29 and AK-47mkIIMade in the USA by Accusound, the M 801 cable features high-strand count quad oxygen free copper conductors sealed in an ..
M 810 Tube Microphone Cable (C12)M 810 Tube Microphone Cable for the C12Made in the USA by Accusound, the M 810 cable features high-strand count quad oxygen free copper conductors sealed in an audiophile-grade, low loss polyethylene insulator. A copp..
M 840T Tube Microphone Cable (U47, U48)M 840 Tube Microphone Cable for the U47 & U48Made in the USA by Accusound, the M 840 cable features high-strand count quad oxygen free copper conductors sealed in an audiophile-grade, low loss polyethylene i..
M 850 Tube Microphone Cable (ELA M 251)M 850 Tube Microphone Cable for the ELA M 251Made in the USA by Accusound, the M 850 cable features high-strand count quad oxygen free copper conductors sealed in an audiophile-grade, low loss polyethylene insul..
M 850E Tube Microphone Cable (ELA M 251E)M 850E Tube Microphone Cable for the ELA M 251EMade in the USA by Accusound, the M 850E cable features high-strand count quad oxygen free copper conductors sealed in an audiophile-grade, low loss polyethylene ..